If high-level executives can be terminated upon discovery of their private donations to organizations that others find objectionable, what security exists for the rest of the population? Imagine yourself at work one afternoon, when you're suddenly called into your boss's office, placed on leave and later terminated, simply because your coworkers found your political views objectionable. Alarmingly, that scenario becomes less and less hypothetical each day in America. We witnessed another high-profile illustration this week in a front-page headline in The Wall Street Journal, which detailed the disturbing treatment of former Facebook Inc. executive and Silicon Valley rising star Palmer Luckey. Internal Facebook emails suggest the matter was discussed at the highest levels of the company. In the fall of 2016, as unhappiness over the donation simmered, Facebook executives including Mark Zuckerberg pressured Mr. Luckey to publicly voice support for libertarian candidate Gary Johnson, despite Mr. Luckey's yearslong support of Mr. Trump, according to people familiar with the conversations and internal emails viewed by The Wall Street Journal. That episode parallels a similar tale involving Mozilla co-founder Brendan Eich, who donated to a pro-traditional marriage organization and was consequently forced from his position despite the fact that the company itself wouldn't have even existed without him. Unfortunately, Internal Revenue Service (IRS) policy exacerbated that problem for years. Until the Trump Administration intervened recently, the IRS had required private non-profit organizations to file what's known as a "990 Schedule B" form, which contained the names, addresses and other sensitive personal information of many donors to those organizations. Curiously, the IRS was prohibited by law from actually using that information for any meaningful purpose, which made it puzzling that it was collected at all. 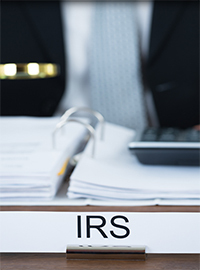 While IRS collection of that information served no substantive purpose, however, it did subject private citizens to harassment from rogue IRS officials or outside hackers. For example, donors to the National Organization for Marriage had their personal information leaked. In addition, far-left attorneys general capitalized upon IRS collection of that information to demand access to confidential donor information contained in Schedule B forms regarding donors and organizations whose political views on such issues as climate change were considered intolerable and therefore subject to state harassment. "This Court has recognized the vital relationship between freedom to associate and privacy in one's associations. Compelled disclosure of membership in an organization engaged in advocacy of particular beliefs is of the same order. Inviolability of privacy in group association may in many circumstances be indispensable to preservation of freedom of association, particularly where a group espouses dissident beliefs." As we've witnessed more and more often recently, the same logic applies today. To its immense credit, the Trump Administration finally changed that official government policy earlier this year. Today, certain tax-exempt groups are no longer compelled to surrender sensitive private donor information to the government via Schedule B forms. Now, however, Senators Jon Tester (D - Montana) and Ron Wyden (D - Oregon) have introduced a Congressional Review Act (CRA) resolution to reverse that commonsense policy. They apparently disagree with the straightforward concept that citizens shouldn't be subjected to targeting by IRS officials or vindictive hackers for exercising their First Amendment right to donate to causes and organizations whose missions they support. Optimally, Congress should pass legislation to protect donor privacy and end IRS abuse by permanently prohibiting the IRS from collecting the information contained on Schedule B forms. But at the very least, it should make quick work of rejecting the dangerous attempt by Senators Tester and Wyden to undermine Americans' First Amendment rights of free speech and political participation. The threat to people like Palmer Luckey and Brendan Eich, as well as everyday Americans across the country, should be ended once and for all.